• Brick, through an affiliate entity, provided a $4 million second mortgage to a private real estate owner. Located in the upper East Side, the collateral is comprised of an eight-story elevator apartment building with 54 units. The loan is interest only with a one-year term. Richard Guarino of Friedman-Roth arranged the financing. • Brick, through an affiliate entity, provided a $1.25 million first mortgage to a private real estate investor. Located in the Morris Heights section, Bronx, the collateral is comprised of a four-story walk-up apartment building comprised of three doctor offices and six apartments. 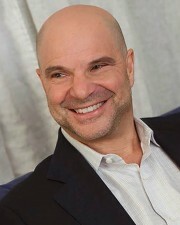 Eric Roth, managing partner of Brick arranged the financing. • Brick, through an affiliate entity, provided second mortgages totaling $1.35 million to a private real estate owner. Located in Williamsburg and Bushwick, Brooklyn, the collateral is comprised of three five-story walk-up apartment buildings. The loan proceeds will be used for the renovation of the buildings and apartments. The loan is interest only with a one-year term. Roth arranged the financing.